Hi, I'm Katy133, and I'm a Canadian childen's show animator who makes visual novels games. I want to continue making more, but it costs money to keep making art--but Patreon helps to make that possible! With your support, I'll be able to continue making more visual novels! With Patreon, you can pledge money to help support artists' work. You can also set an amount limit so that you don't go over your personal budget, and you can cancel your pledge at any time. I also have reward tiers specially for patrons, which you can read about below. So if you like my work, and want to help support it, please consider pledging! 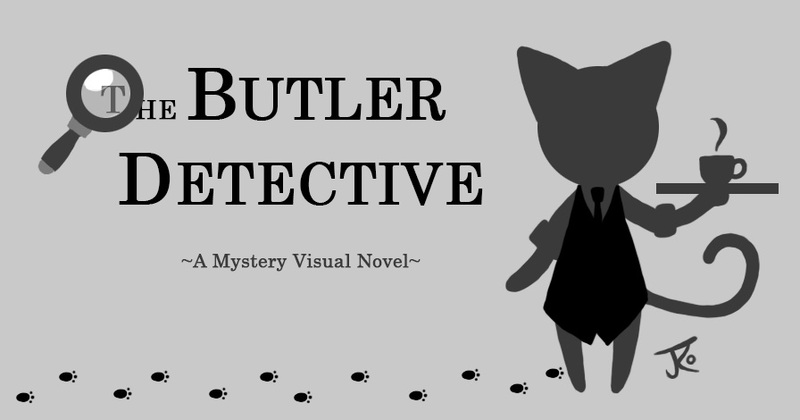 Upcoming Project: The Butler Detective. You'll see my Patreon activity and see BEHIND THE SCENES development stuff earlier than everybody else! You'll also get to vote on upcoming projects! After completing each VN, I’ll ask you to vote on which project I should work on next. It's your way to make an impact on future content! Request me to write an article about an animation/writing-related subject of your choice (eg. an analysis about a trope in storytelling, an article with advice on how to write about a subject of your choice, etc) on my writing blog. One request per VN release. Please note: I hold the right to refuse a request (I may be unable to analyse the work in question due to not being able to get a copy of it, or deciding it’s inappropriate, etc). A personalised lineart of a character of your choosing each time I release a VN! Please note: I hold the right to refuse an art request and ask you to request a different character. A full colour drawing of a character of your choice each time I release a VN! You are now an official "Patron Sponsor." As special thanks, your name will go in the credits of every released VN! Every time I release a VN, you will get a personalised, full color drawing of up to 3 characters of your choice! You are an official Producer in the credits of each visual novel I release! Every time I release a VN, you will get a personalised, GIF animation of a character from one of my projects (or of one of your original characters)! I can buy a better microphone now!